Sometimes you just don't know what your walking on. 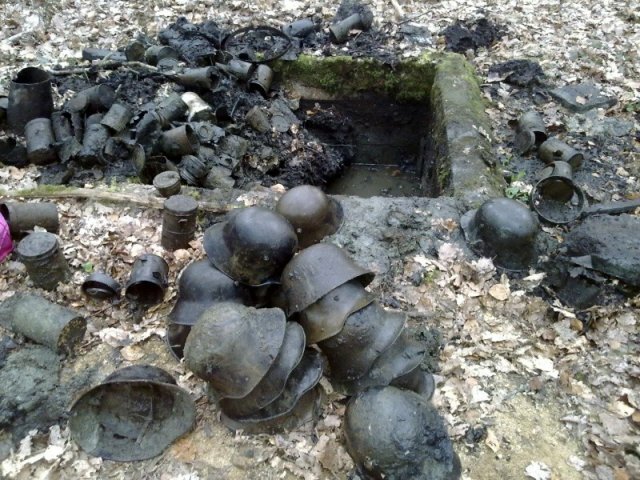 A couple of French guys dug up what appears to be a WW1 dump of some sort, but among the trash seems to be a treasure trove of old German helmets. This has the guys over at the WarRelics Forum all wound up. 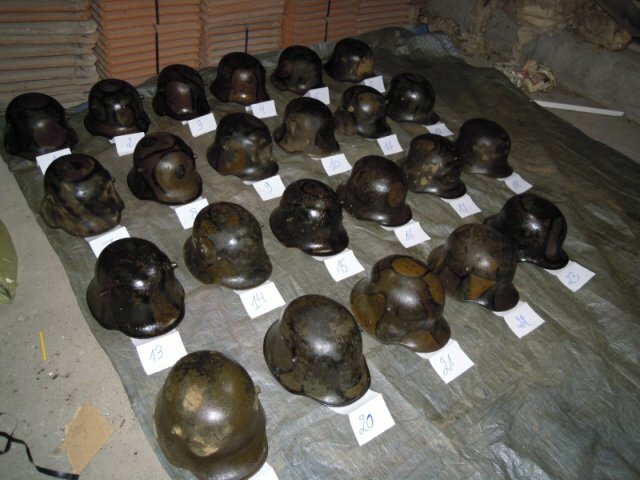 Most of the helmets seem to be painted in a camo pattern, which lays to rest the thought that this type of helmet decoration was rare. The War Relics member harvest is also selling them, so if you're interested you can contact him through the forum.